It was still hot these days. It is a hassle for me to go out on such a muggy day. But while in the home, the time passes. I managed to go out and played ! We headed to Monzen-nakacho under the blazing sun on one weekend. 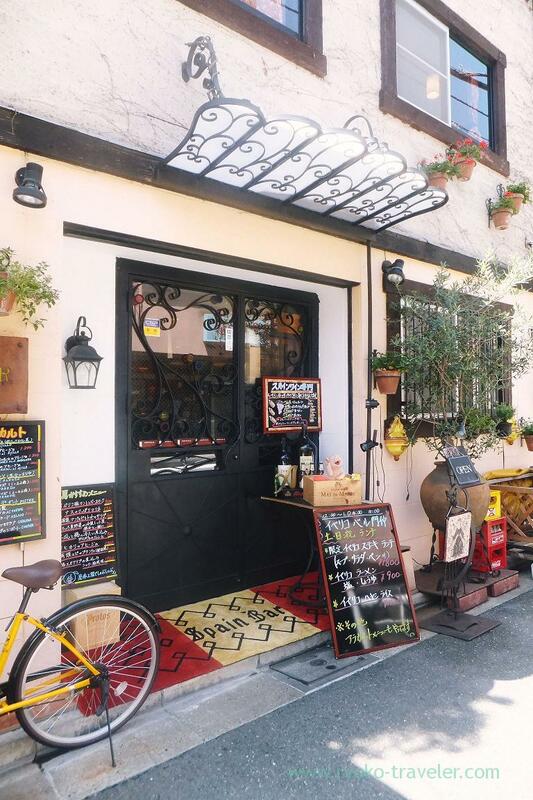 The shop’s name’s “Iberiko Bar Monnaka”. 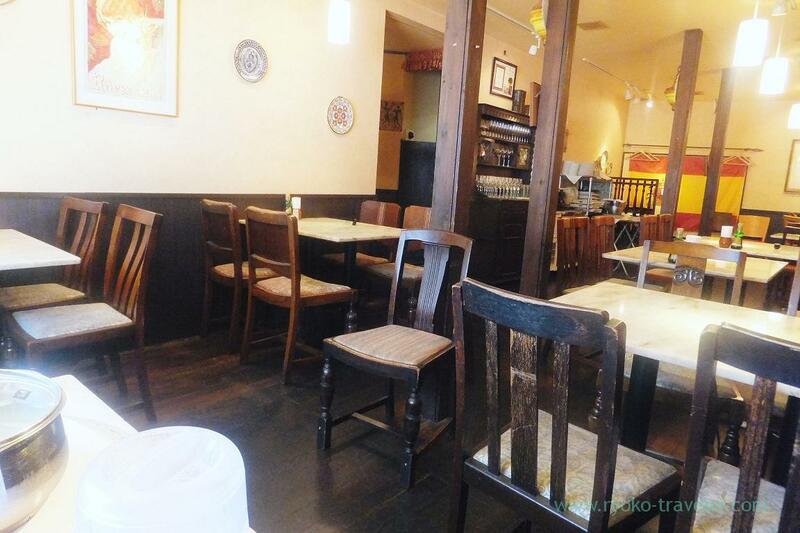 It is a Spanish bar. Cozy and cute house. 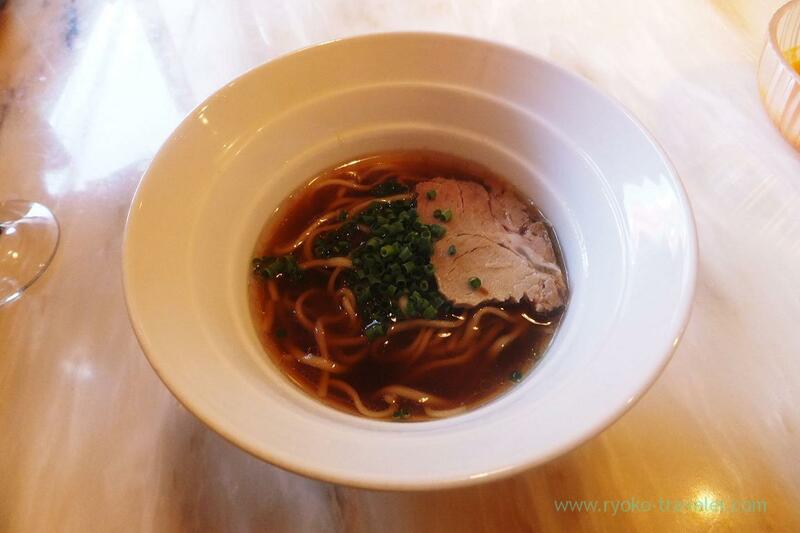 Of course, they serve Spanish dishes, but they are also proud of ramen, shabu-shabu, steak, hayashi rice and so on that have Iberiko pork from Spain. We reserved in advance, so the waiter led us to the upstairs. Strictly speaking, not because we reserved in advance. Well, the 1st floor is a simple bar and hard to prepare portable induction heater on the table. Anyway, we that ordered shabu-shabu was led to the upstairs. 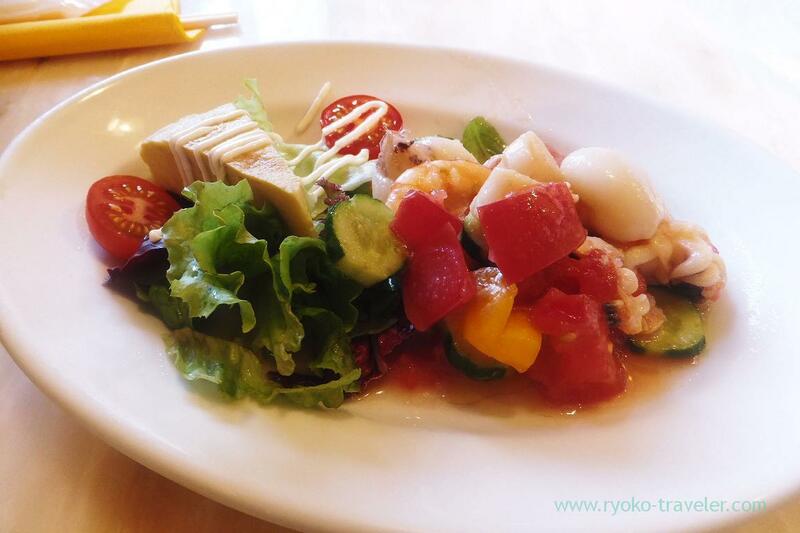 At first, marinated seafood salad with Spanish omelet was served. The sauce is onion and vinegar sauce and gazpacho sauce. Left green is pea sprouts and right leaves are Gynura bicolor. 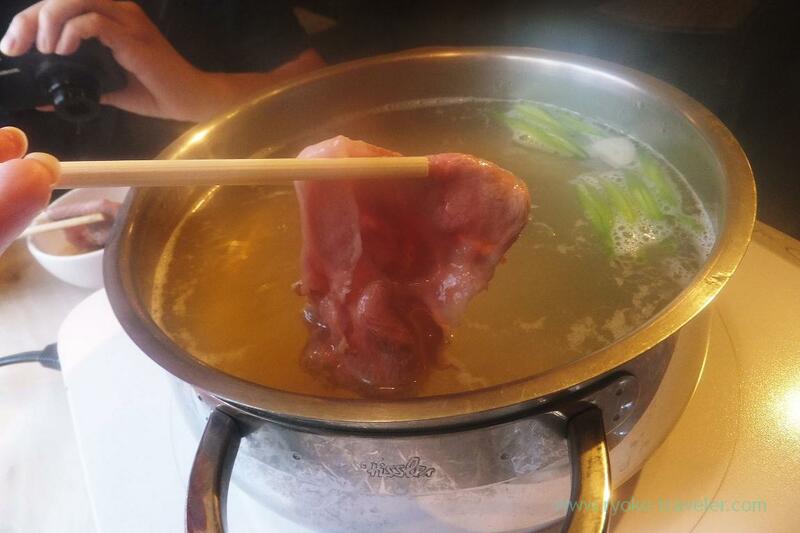 We did shabu-shabu immediatedly ! Though it was hot outside, inside the house was cool ! Shabu-shabu in the properly air-conditioned room is fun ! 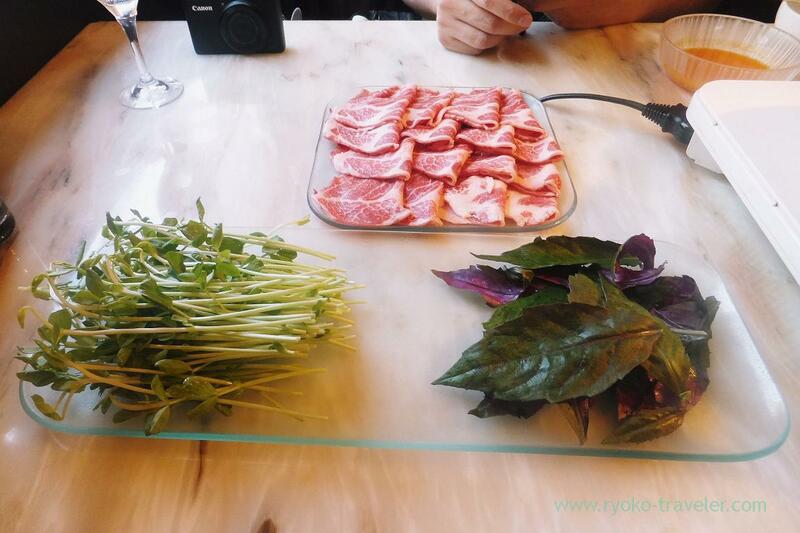 Shabu-shabu in the mid summer ! Yay ! Fatty and thick chuck meat of Iberiko pork ! It’s two portions. 120 g per one portion. 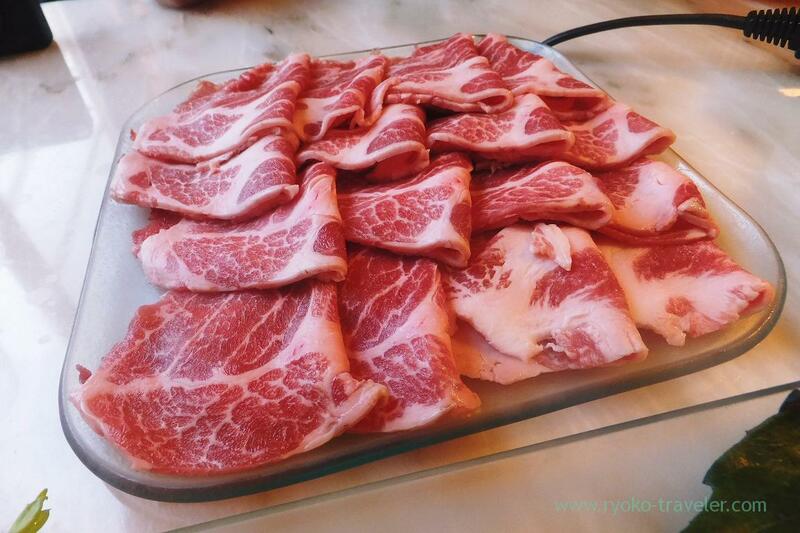 Those marbled pork was really beautiful and delicious. I love beef, chicken. But compared with them, I’m not interested in pork. But that is because I just don’t know really good pork ! I had not eat such a juicy pork ever ! Incredible taste ! Last iberiko pork ramen as last. This ramen was cooked beside our table by the waiter using our leftover soup. They are proud of it. 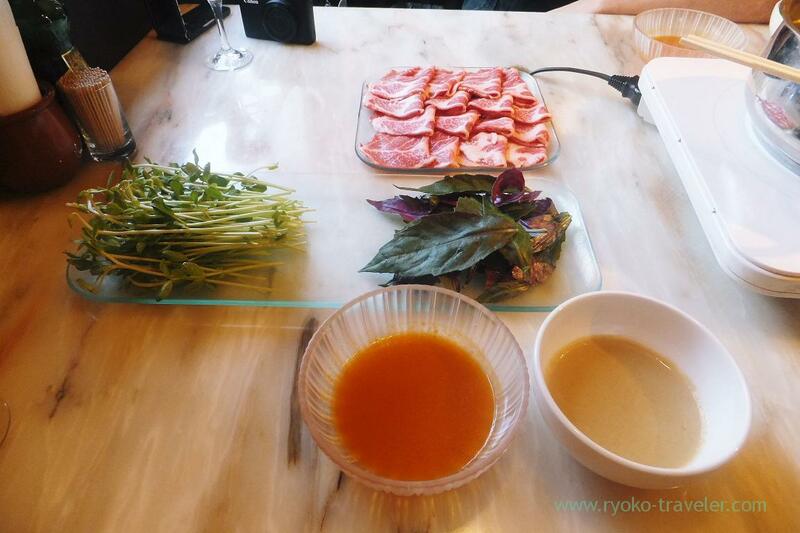 The soup had plenty of Iberiko pork extract. They bought this noodle from popular noodles production company. So, the noodle was great, too. I drunk the soup up ! 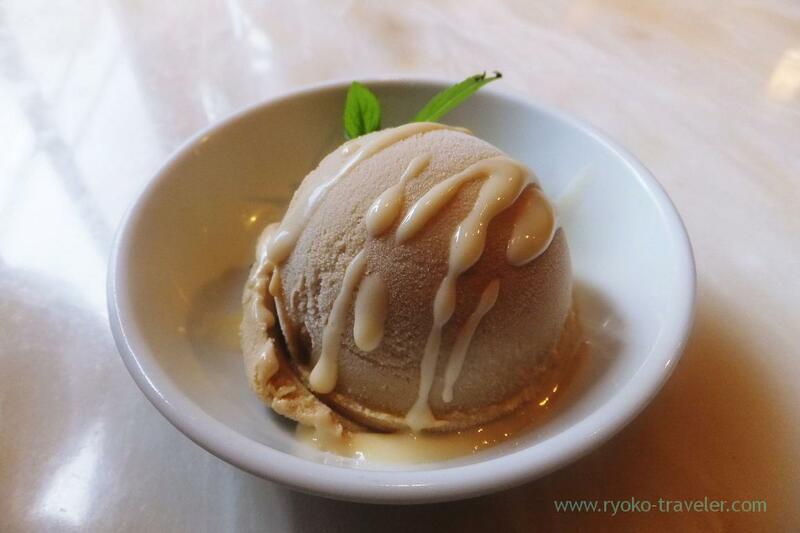 Tea flavored ice cream as dessert. This was not a part of the course. We showed a mobile coupon and got it.